I was so excited to be invited along to a little bloggers soirée on Wednesday evening at Frisky Froyo Edinburgh. 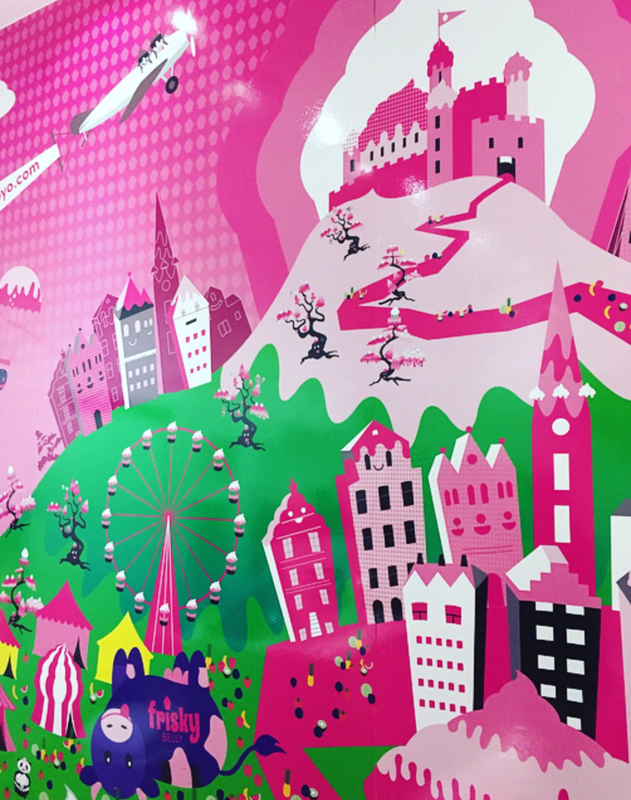 Situated a stone’s throw away from Edinburgh University on Forrest road, this brightly coloured, happy little shop has been supplying Edinburgh with its frozen yoghurt fix since 2012. Their offering is fat-free, local and pro-biotic not to mention oh so tasty. A great alternative to ice cream without the guilt! 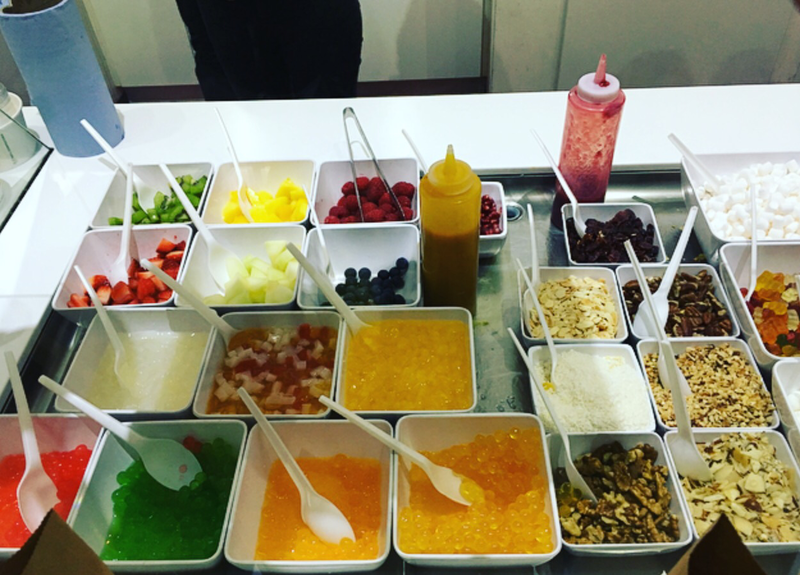 They have a wide range of toppings from fresh fruit to some more guilty pleasures like marshmallows and gummy bears. 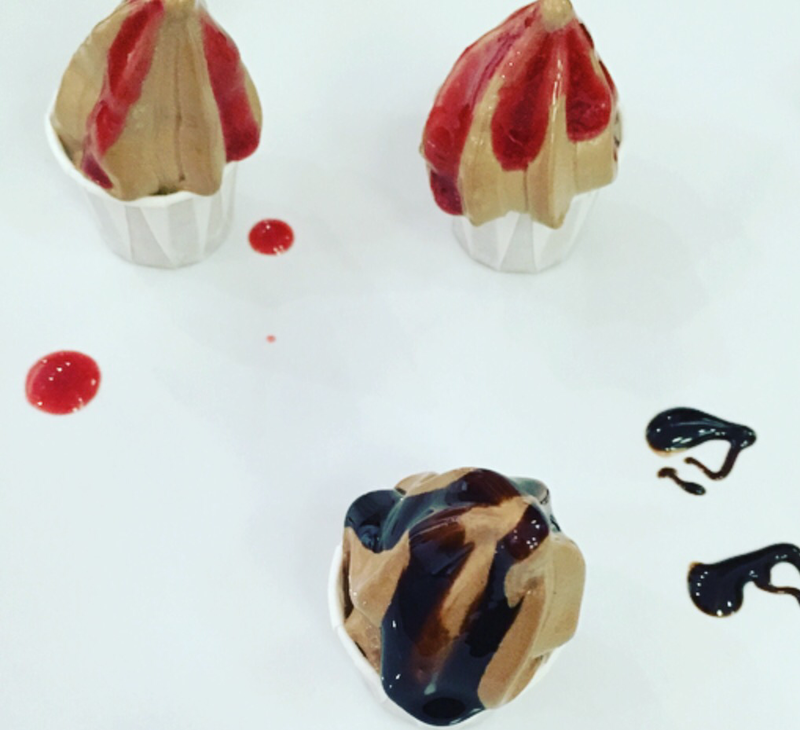 I got to try mini taster versions with raspberry and chocolate sauce! 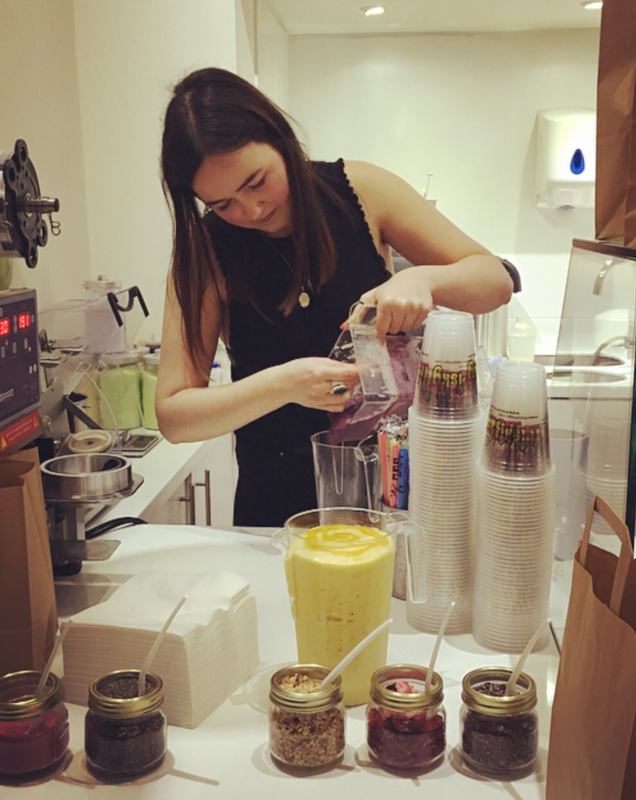 Tonight was all about the smoothie bowl – manager Morven demonstrated how to make one, they are the current trend of the moment, plastered all over Instagram and a fantastic healthy nutritious breakfast or snack anytime you need a fruit boost. The smoothie base was their Caribbean crush smoothie and a new addition to their menu, blueberry and chocolate which gives a glorious deep purple colour. 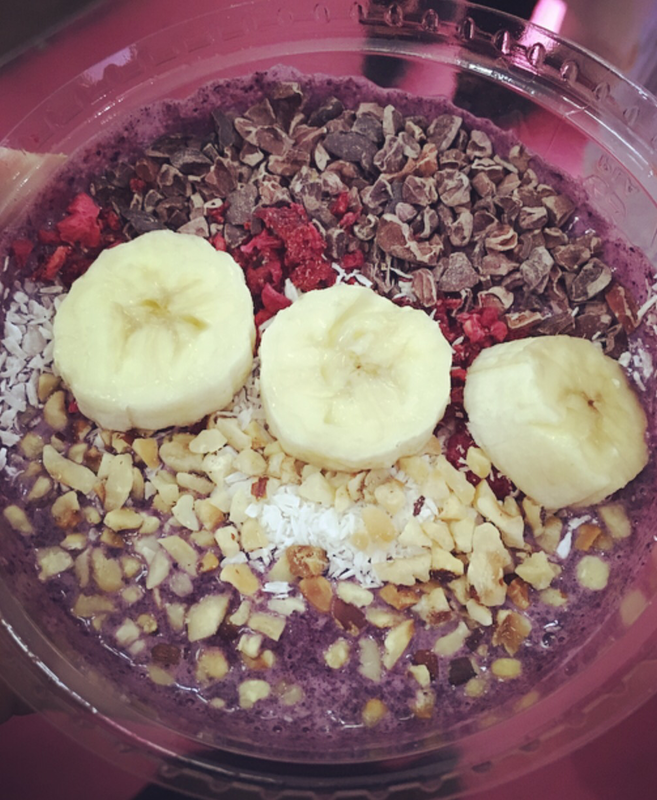 Morven let us have a go at creating our own smoothie bowl toppings, I was intrigued by the blueberry and chocolate so I just had to go with that one! I pretty much copied Morven by adding cocoa nibs, toasted hazelnut, raspberries, banana and I added coconut for good measure. It was soooo delicious! I also got to try some of their kiwi bubble tea. 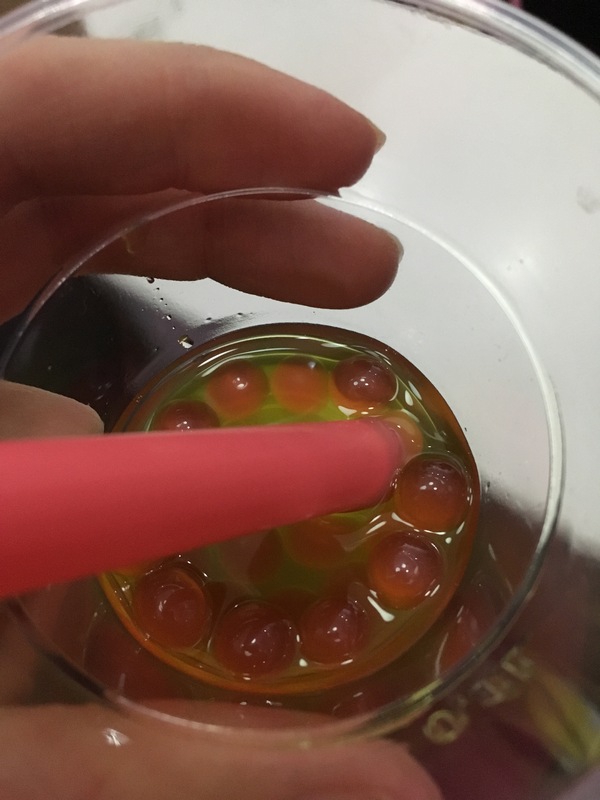 I first tried bubble tea when I visited Hong Kong and loved it but I hadn’t come across anywhere that had sold it since. It was a really nice blast from the past for me and I loved sooking up the bubbles with my straw, such a novelty! The Frisky Froyo inspired artwork is awesome, with such close proximity to all the festival action and the Meadows, I will definitely be popping by now that the nights are getting lighter and with so much to choose from on their menu with the most natural of ingredients and vegan options, everyone can sample what Frisky Froyo has to offer. There’s even talk of expansion within Edinburgh and Scotland wide. 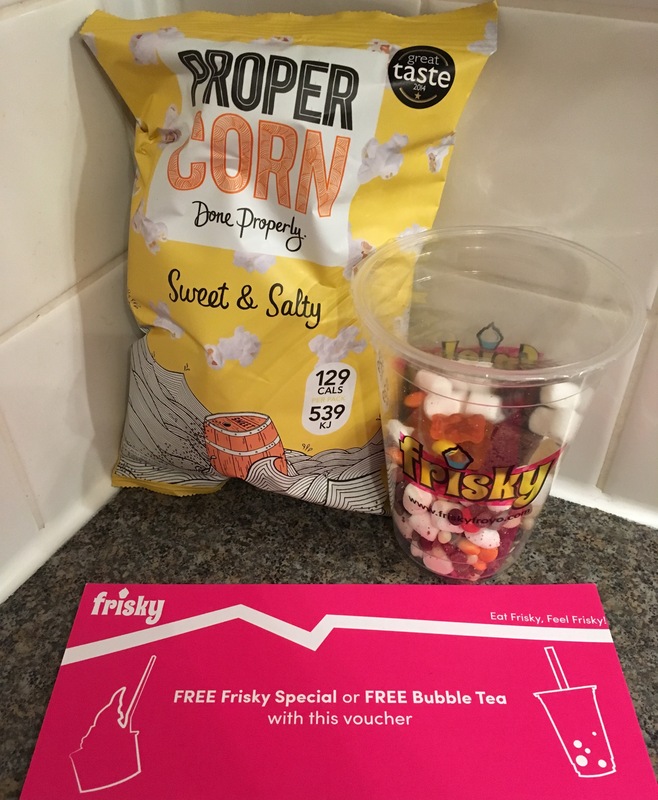 Excited for my next visit to Frisky Froyo already. 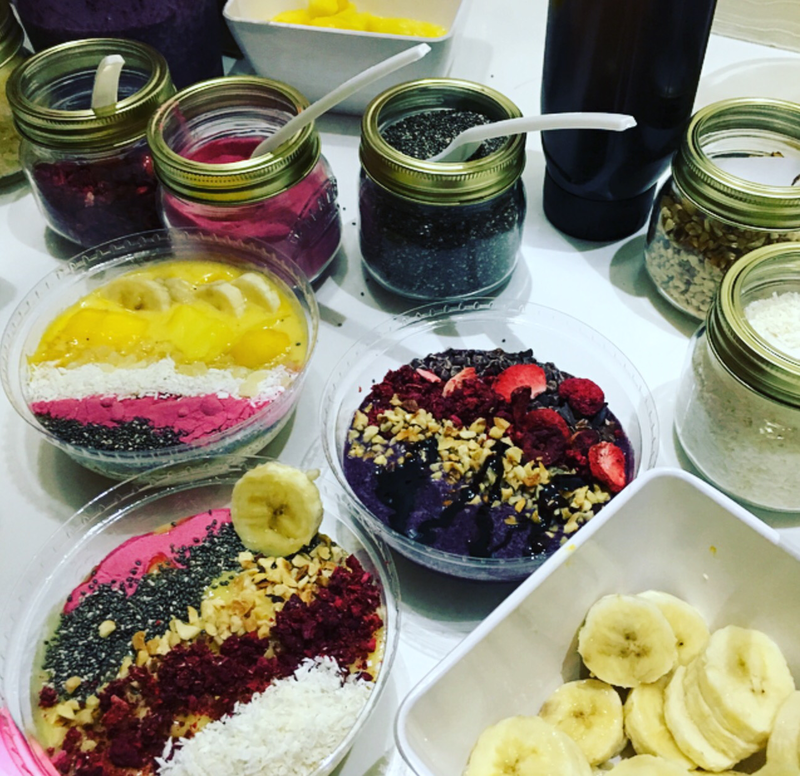 This entry was posted in breakfast, Foodie, Frozen Yoghurt, Smoothie, Tea, Treats, Uncategorized. Bookmark the permalink.